This bearing design features a very high axial force transmission and rigidity. Wherever high loads need to be transferred and great stability is required, these types of bearings are used. 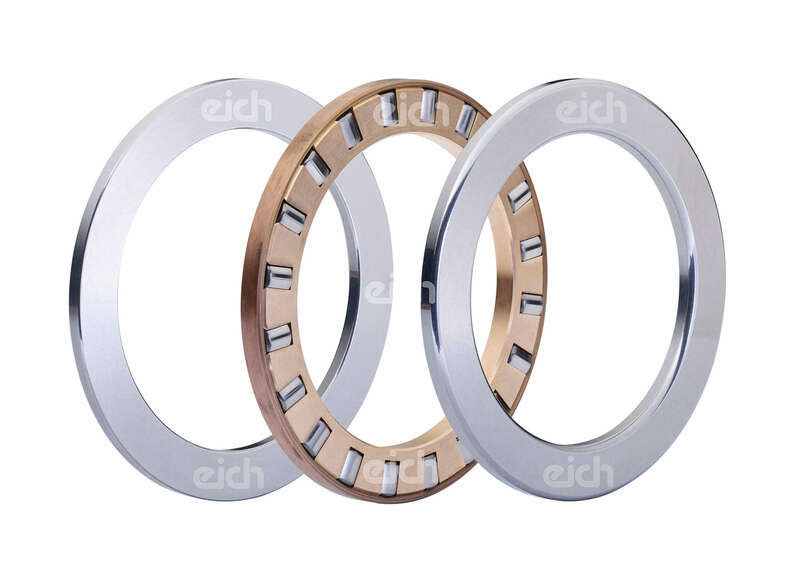 These bearings consist of an inner ring, one or more roller element sets (full complement or with cage) and an outer ring. In most cases, the roller elements are guided in a bearing ring on banks. 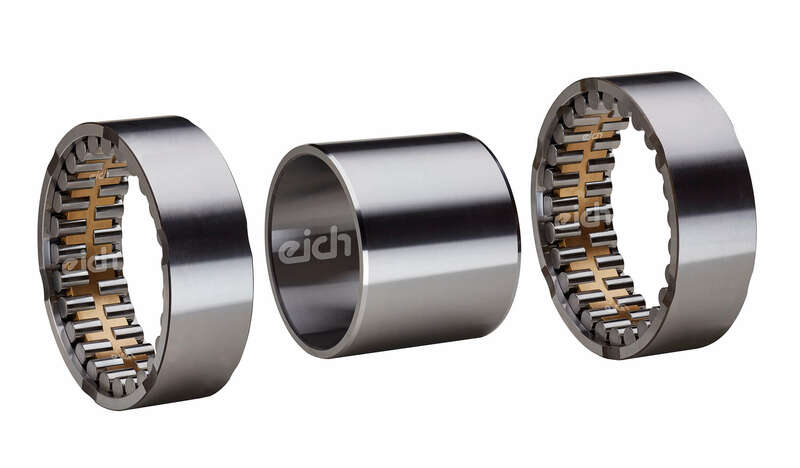 Another feature of these bearings is that they are demountable, i.e. the inner ring and outer ring / rolling element set can be mounted separately, this can simplify the installation of the bearings and make them safer. The different bearing types are avaliable as floating or as well as a fixed bearing, another variant is the supporting bearing, these can take one-sided thrust forces. For axial load only, “real” thrust bearings are usually used. These bearings are composed of a shaft locating washer, a cage with the roller elements and a housing locating washer. This configuration is called a unidirectional thrust bearing. If axial forces have to be absorbed from two sides, the configuration of the bearing changes as follows: two shaft locating washers, two cages with rolling elements and one housing locating washer; This storage variant is also called bidirectional thrust bearing.